Winning Powerball using lottery system or math ? At the time i’m writing this article, Powerball drawing numbers are on TV for their largest lottery jackpot – $550M. The winning Powerball numbers are out and I’m not a winner. But can a Lottery System or Mathematics can help you win Powerball ? Will try to answer this question. There is absolutely no doubt about the fact that all those who partake in lottery do so with the aim of winning the ultimate which is money. In order to enhance your chance of winning there are some basic things you need to do. The very first thing is to engage in the workings of the laws of probability. Also you could also play a lot more lottery numbers than you would do normally. With the use of a mathematical system you could pick more numbers than normal in order to ensure that they all end up together on a ticket. It would be good therefore to examine how you could play a lot more combinations of numbers on the lottery without ever having to spend huge money. This is how mathematics comes into play as you mix the numbers more so that you get a lot of possible combinations thereby enhancing your chances of winning. This is mostly called ‘wheeling’ and is a way by which you could select a lot more numbers than you can with the normal ticket. It is important to note that when you do mathematics with the lottery system you should be prepared to purchase a lot more tickets. Even though you would be required to purchase more tickets than normal this would be worthwhile. This is especially the case when you play as part of a syndicate. Indeed although you could greatly enhance your chances of winning a very reputable prize with the use of mathematics, this is definitely not the main aim of using them. When you engage in mathematics with the lottery numbers you are ensuring that you win a lot more smaller prizes when you select just a few of the winning lottery balls. For those who do not believe and think that this is too good to be true you just have to try it out. Surely when you add mathematics of the wheeling system to a good system designed to work alongside the law of probability, it enhances your chances of winning more. You would be amazed at the amount of money you would be making in the process. Even though there are a lot of lottery systems designed to increase your chances of winning there is certain one as that of mathematics. 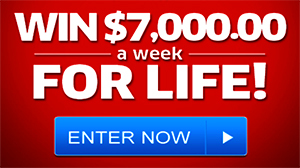 Your life would never be the same again as you win a lot more at Powerball or MegaMillions. I love to win a $1 Million SuperPrize ! 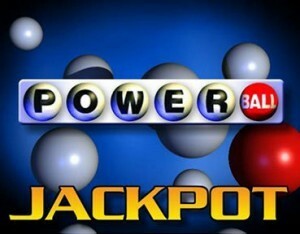 Would love to win the Powerball Lottery using the lottery system with clientele choosing numbers. But, the $2Million Dollar and $10,000.00 A Week For life and the $7,000.00 A Week for Life with each doubled and leave a legacy behind as a winnerto my son and win A Dream Home $1.8M in St. Simon, Georgia, win $4Millon and $10 Million from PCH. Win a Vacation and a exercise workout room on 2/24/17. Please advice me when I win.